For many, the ultimate retirement dream is to relocate to a place that’s both tranquil and beautiful. A safe environment that not only promises a higher quality of living but also ensures people have the chance to escape the pressures of a loud and hectic modern life. A quiet place where people don’t have to leave behind a tight-knit community spirit and opportunities for fun and relaxation just because they’re no longer living in a bustling town or city. For those who share this dream, Florida golf communities are usually the first choice. 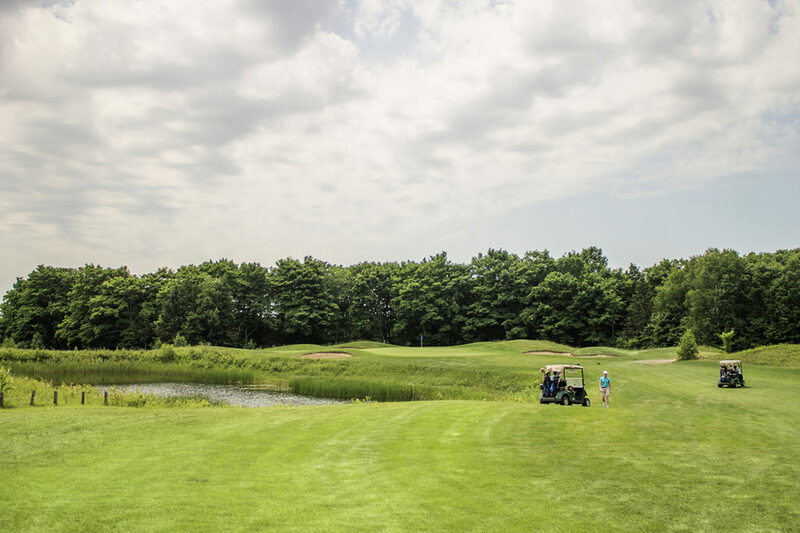 But did you know that you can find a prestigious golf community right in Ontario, Canada? Crimson Ridge in Sault Ste. Marie offers spectacular natural landscape settings from every home site with the added features of nature trails and one of the area’s finest restaurants within walking distance. And of course, the gated community is located on one of Ontario’s best golf courses. Are you considering moving to a golf community? Here are our top five reasons as to why you might want to consider moving to an Ontario golf course when you retire. Making your home on a golf course is a wise investment. 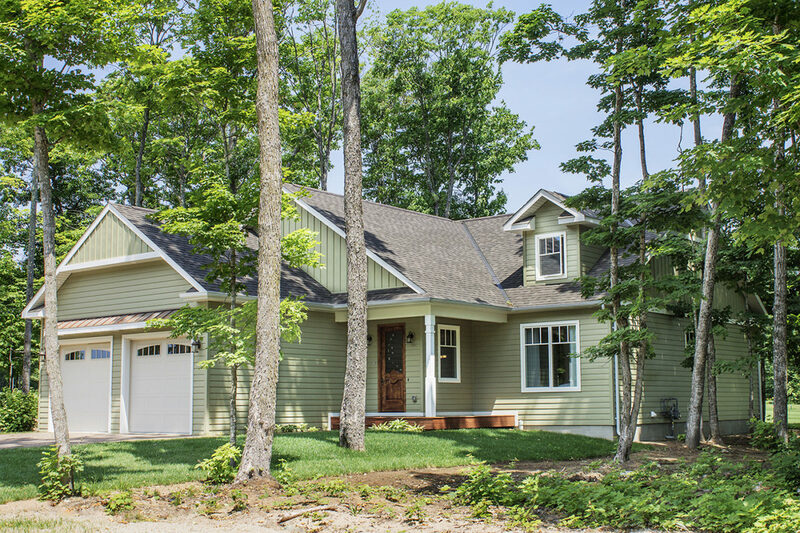 Not only will you enjoy an exceptionally designed home within a tranquil setting with all amenities nearby, if you ever wanted to up sticks and move again, you’ll get great resale value on your property. Why? Because the safe, peaceful, beautiful environment of a golf course is coveted by so many people. Even villas overlooking putting greens are becoming increasingly hankered for, particularly as the professional sport’s popularity continues to grow and for those who have a true passion for the amateur game. With a golf course property, if you ever put it back on the market, you can expect an excellent asking price for it. When you live on a golf course, you’ll become an essential part of a close-knit community. A fellowship that, just like you, enjoys golf and the finer things in life. Not only will you have plenty of things in common to make lots of new friends, you’ll also find that your new neighbours respect the same things as you: peace and quiet and the more relaxed pace of living. By being part of a golf community, you’ll quickly find that neighbours become lifelong friends. Even if you’re a keen gardener, it’s always nice to have help when it comes to landscaping your garden and maintaining your lawns – which is something you can enjoy if you live in a golf community. Every green and outdoor communal space on a golf course is maintained to perfection, freeing up your time to enjoy the views from your home and leaving you to focus on the less strenuous, more pleasurable side of gardening: the planting, the flowers, and the wildlife. The beautiful views don’t end in the summer. 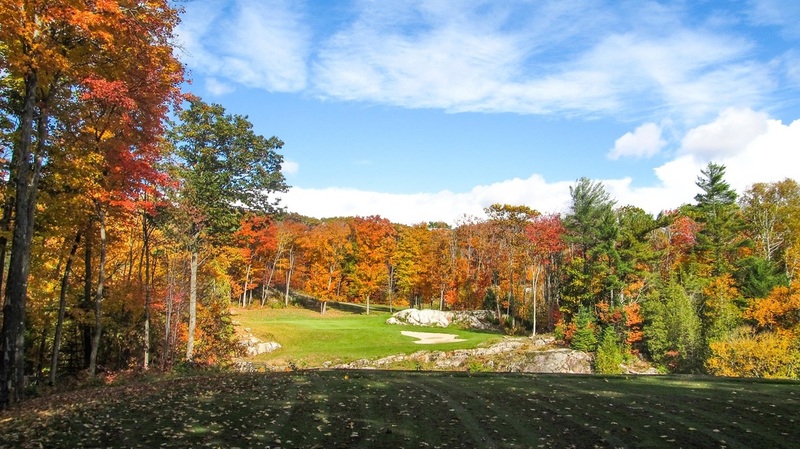 Another upside of living at golf community in Ontario as opposed to a Florida golf community is experiencing the picturesque views and plethora of activities of fall and winter. The trails at Crimson Ridge are perfect for witnessing the gorgeous autumn leaves and they make for excellent skiing and snowshoeing tracks during the winter. If you are from Ontario and decide to move to a retirement golf community in Florida or somewhere south, leaving your family can be a difficult task. Not only will both parties experience some sort of emotional and communication loss, it can get expensive to travel and visit each other on a regular basis. Moving to a golf community in Ontario keeps you in the province, making travelling much more bearable. A plane ride from a southern location will cost hundreds of dollars to make it home. Staying in Ontario means you will likely only be a couple hours away from your family. Living in a golf community means you’ll be eating world-class food, drinking wonderful drinks, relaxing with friends all without leaving the neighbourhood. But most importantly, you will be able to golf at almost anytime you like. 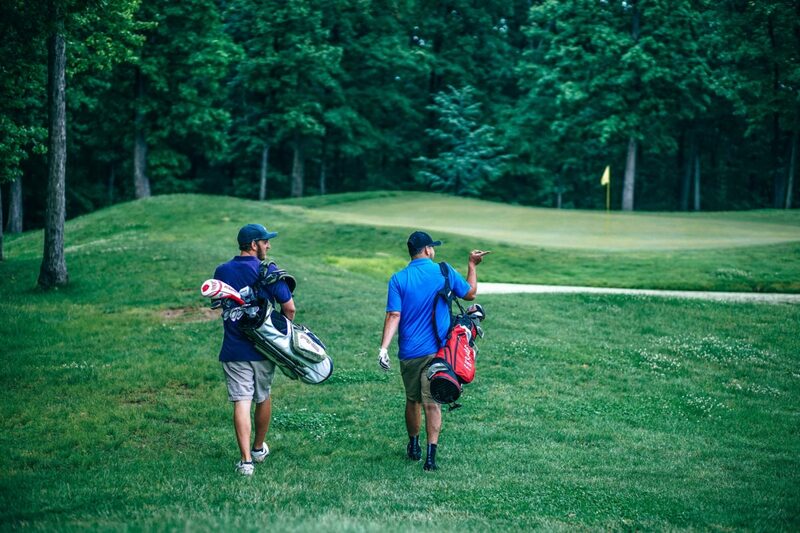 Work on your game at first-class driving ranges, keep up-to-date on all tournaments and leagues and be within walking distance of the first tee for all your tee times. But don’t just take our word for it, others have also gushed about our community. 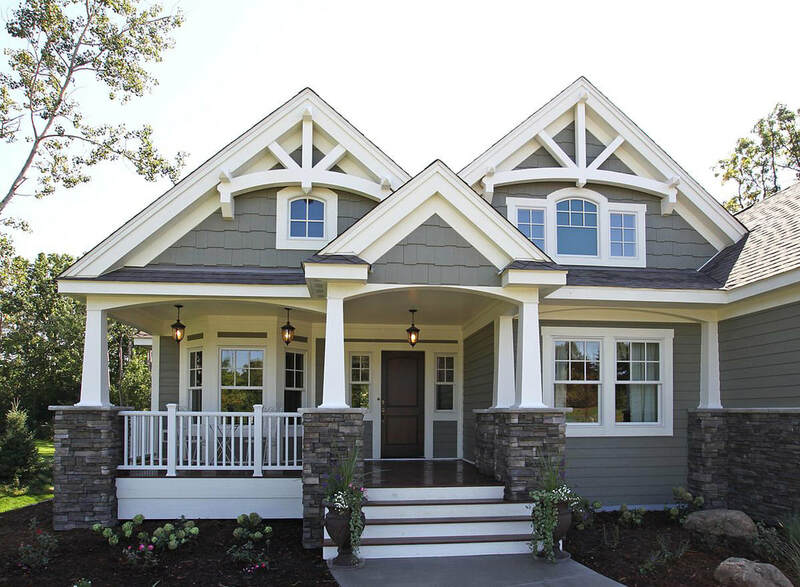 Interested in Crimson Ridge? Fill out the form below and we will answer any questions you have about our community.